Stroll the old town when you visit Passau. The Old Town is called the Altstadt. View City Hall (Rathaus), which was built in the 1200s and many buildings from the 1800s, such as the New Bishop’s Residence. 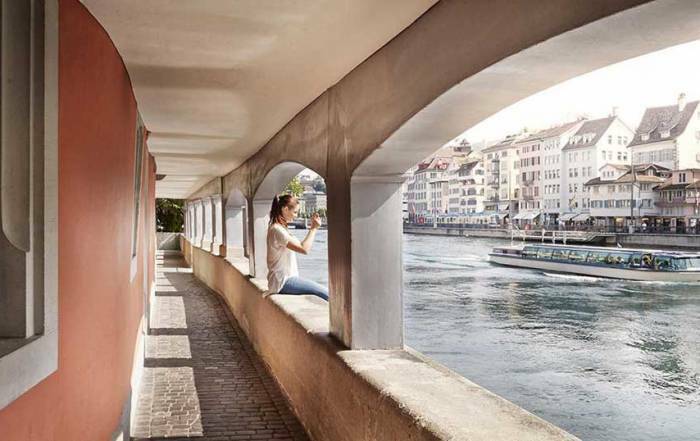 Shop for handicrafts in the medieval buildings of Hollgasse. 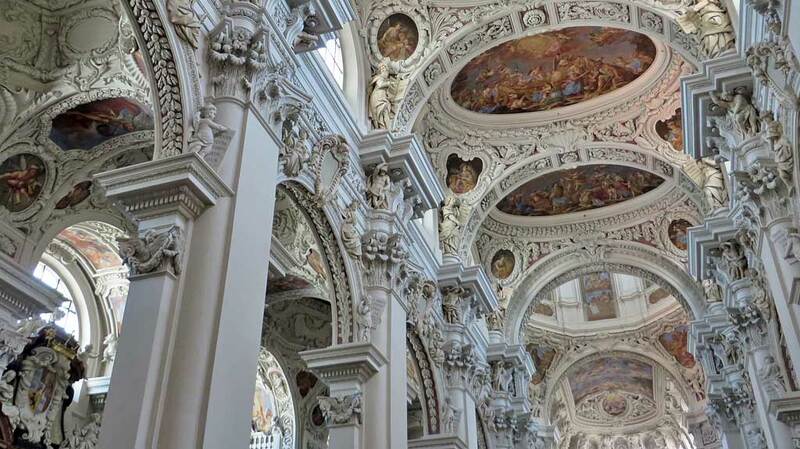 Visit St Stephen’s Cathedral to see the Gothic and Baroque architecture. The church has one of the largest pipe organs in the world with more than 17,000 pipes. The Passauer Glasmuseum in the Wilderman Hotel across the street from City Hall has the largest collection of Bohemian glass in the world. Then stroll the river front along the Fritz-Schaffer Promenade and see St Paul Church. 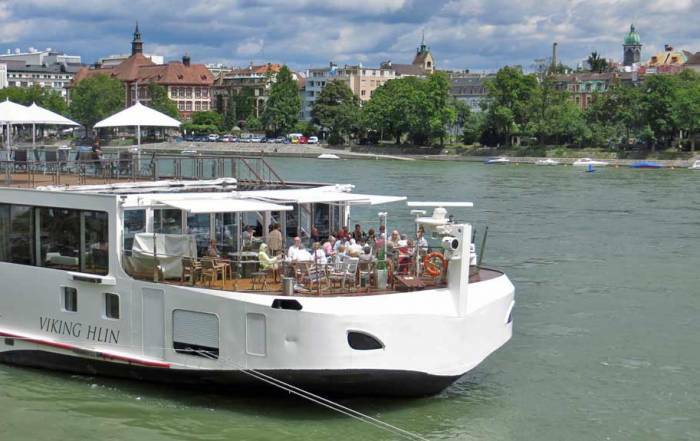 Cruise along the Danube and return the same day. Take a one way river cruise to destinations such as Budapest. 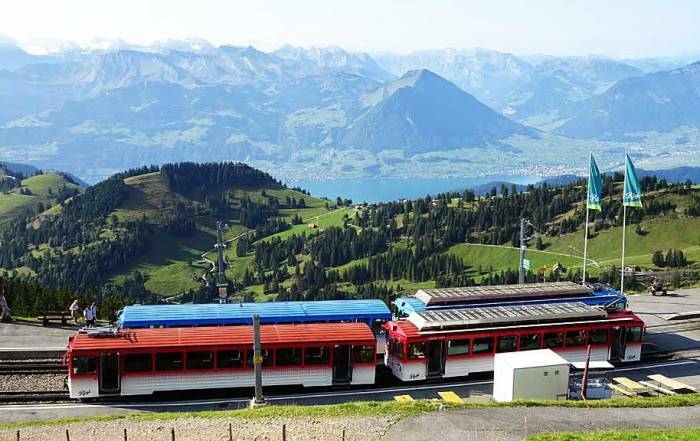 Cycle along the Danube River to Vienna, which is 400 km or 280 miles away. View the confluence of the 3 rivers at the point of land called the Dreiflüsseeck. The Dreiflüsseeck is at the edge of the Old Town. You will find a view of the rivers and a playground. The Museum Moderner Kunst and Niedernburg Convent are nearby. 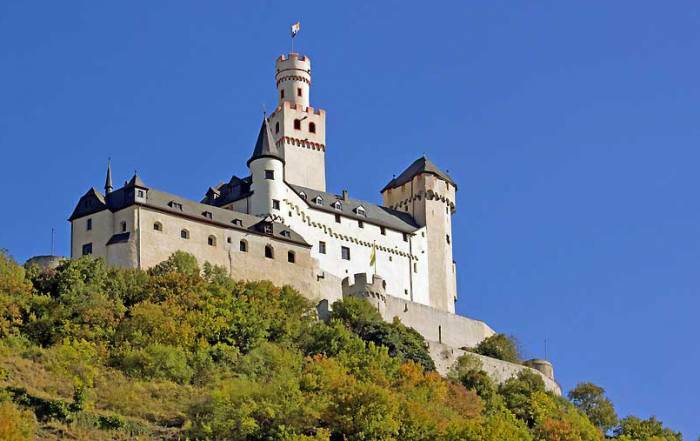 Veste Oberhaus – a fortress built in 1219 with excellent views over the city. The Vests Oberhaus is high on the bank of the river opposite from the Old Town. The Oberhaus Museum is located here. Visit Heilig-Geist-Ausstellungsraum – a monastery converted to a restaurant well-known for its wine tasting experience. Passau weather in summer peaks in July and August with averages of 73 F (23 C), while lows are about 54 F (12 C). By December and January average highs are 34 F (1 C) and average lows are 25 F (-4 C). Rainfall is highest in July. 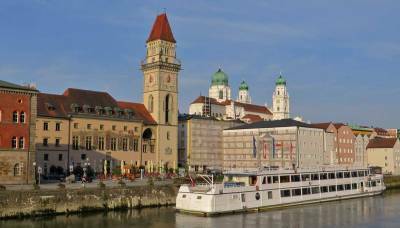 August is likely the best month to visit Passau and ensure good weather with little chance of flooding on the Danube. 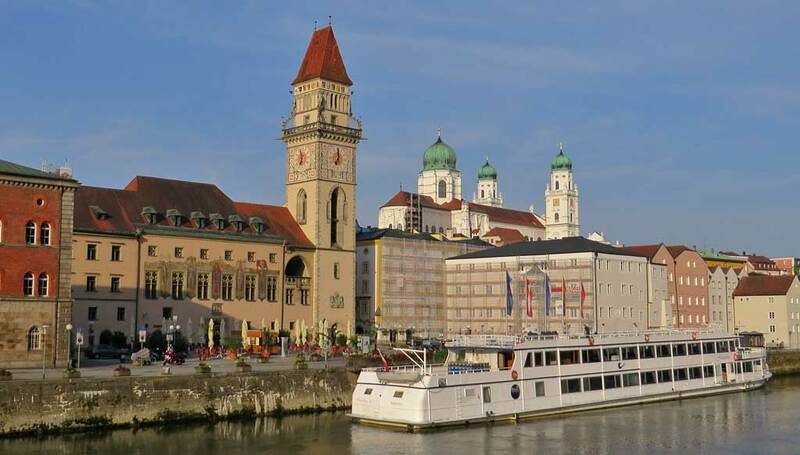 Passau is a standard port of call on 14 day river cruises between Budapest and Amsterdam. 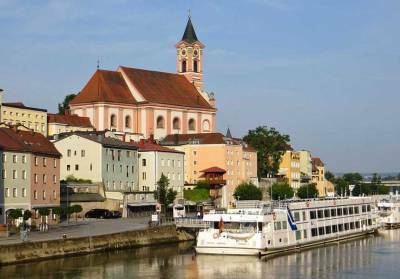 You can get to Passau on a 7 day Danube river cruises from Budapest. The train station is located downtown near the intersection of the three rivers and the river cruise docks. 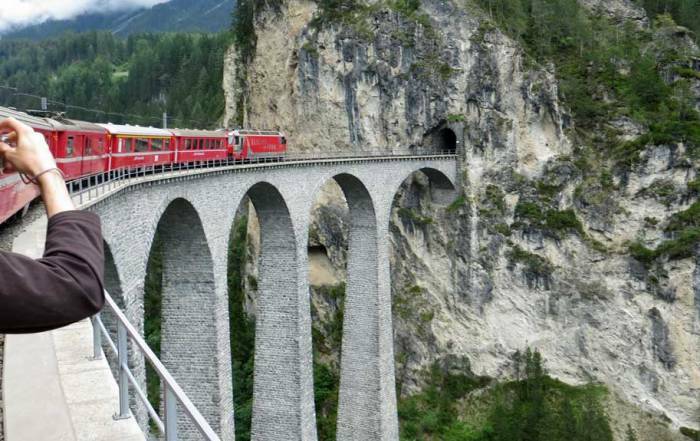 There is no major airport nearby, but it only takes a little over 2 hours to get to Passau from Munich by rail. 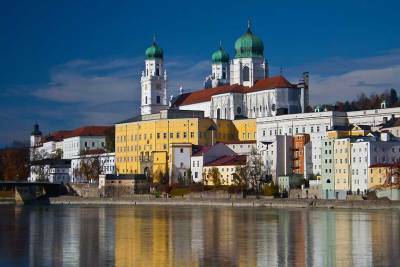 About 50,000 live in Passau and many residents are university students. Passau is on the Danube River and is a standard embarkation port for Danube River Cruises. The city is sometimes called the City of Three Rivers, because the Danube, Inn and Ilz Rievers all join here within the city limits. The first inhabitants in this region were Celtic. 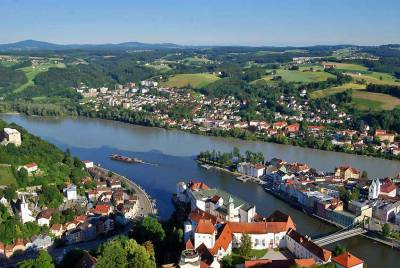 Later Passau was part of the Roman Empire, at which time it was referred to as Batavis. 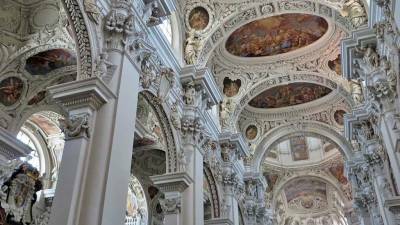 During the Renaissance, Passau was famous for the swords that were forged there. Hitler lived in Passau for several years and three concentration camps were located in Passau during World War II.